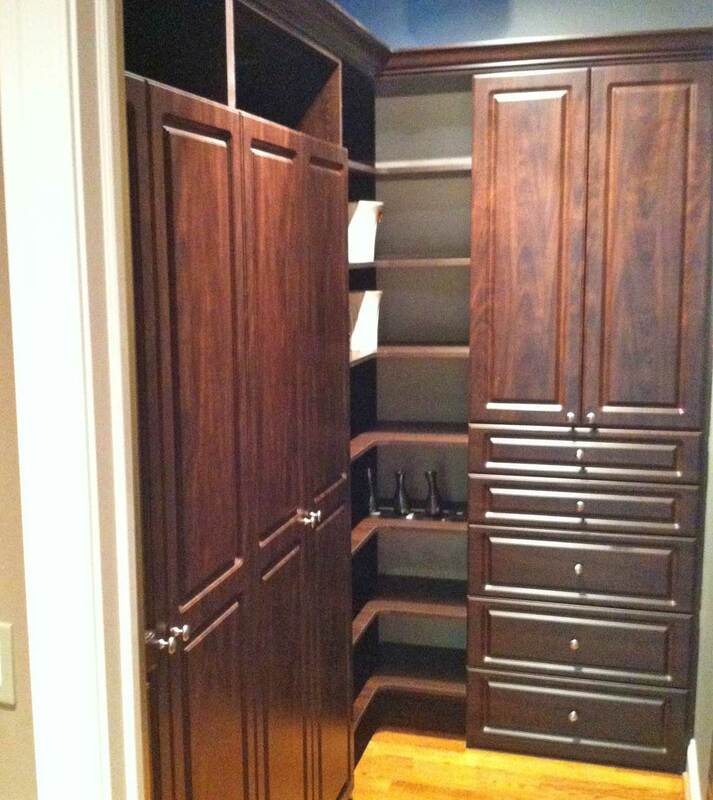 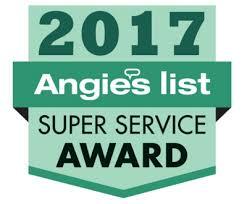 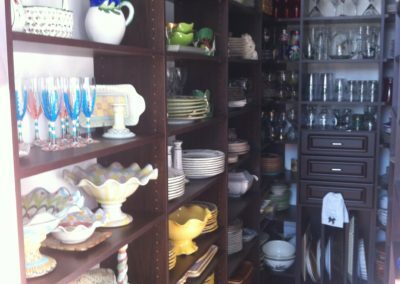 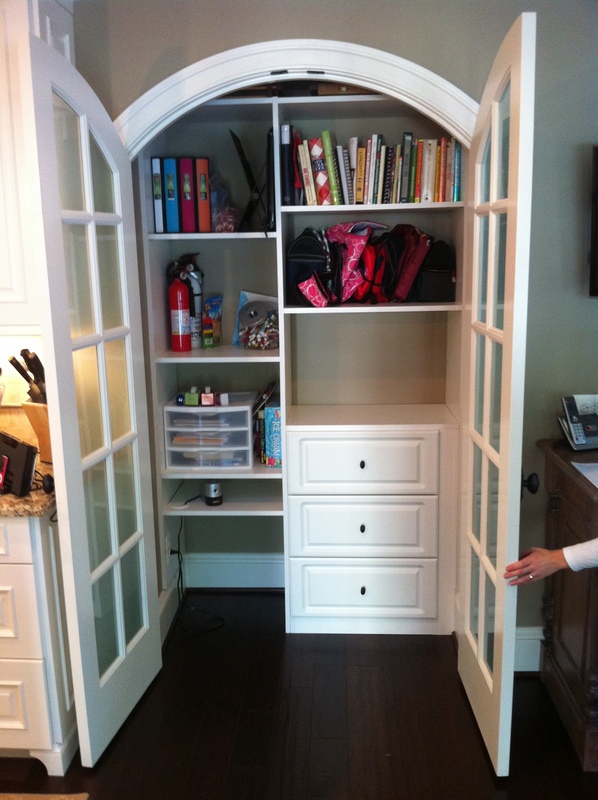 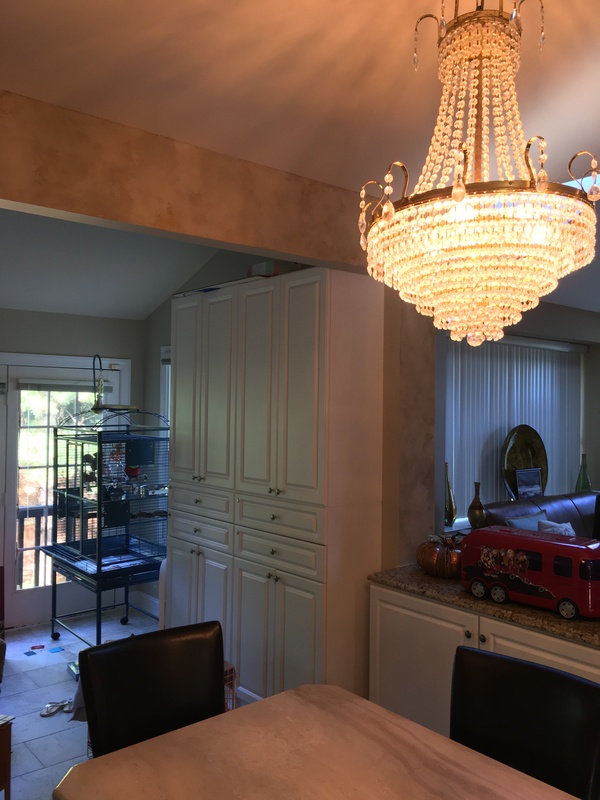 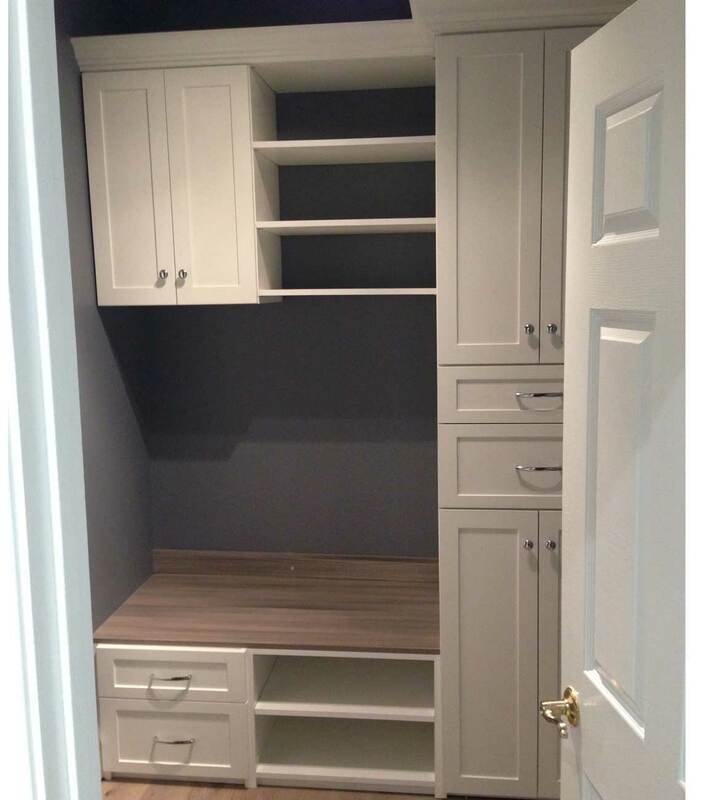 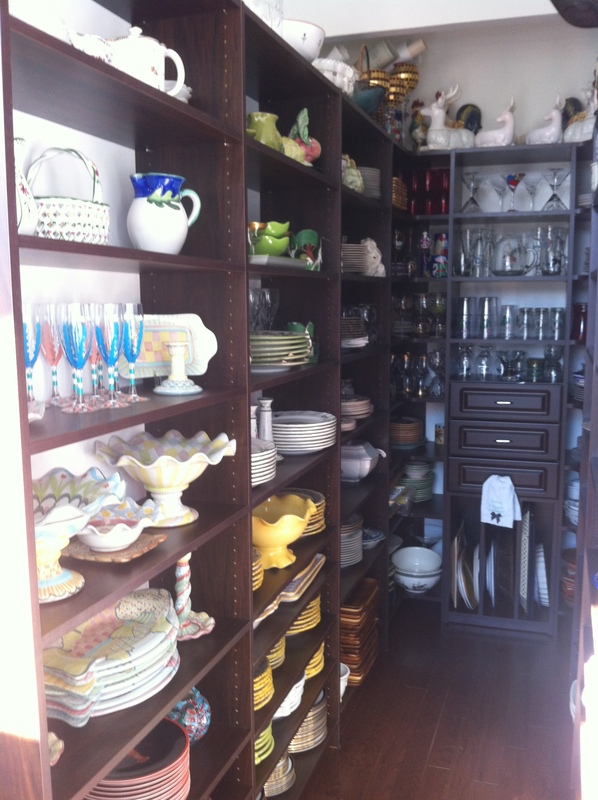 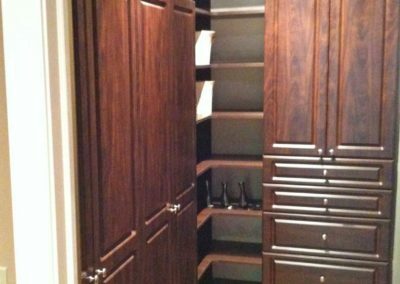 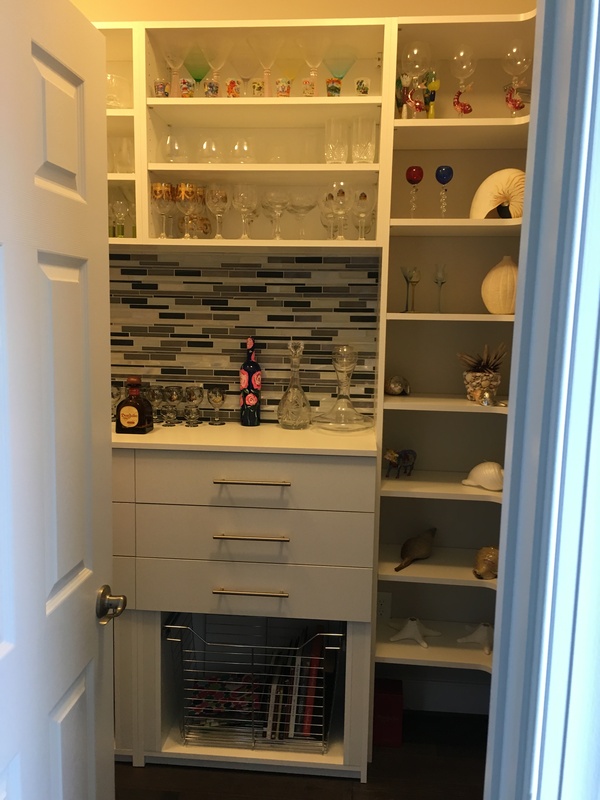 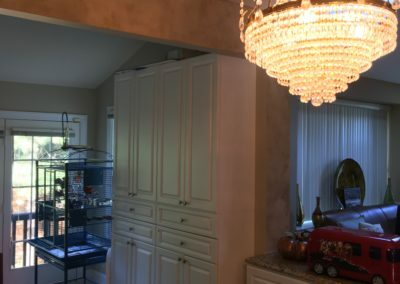 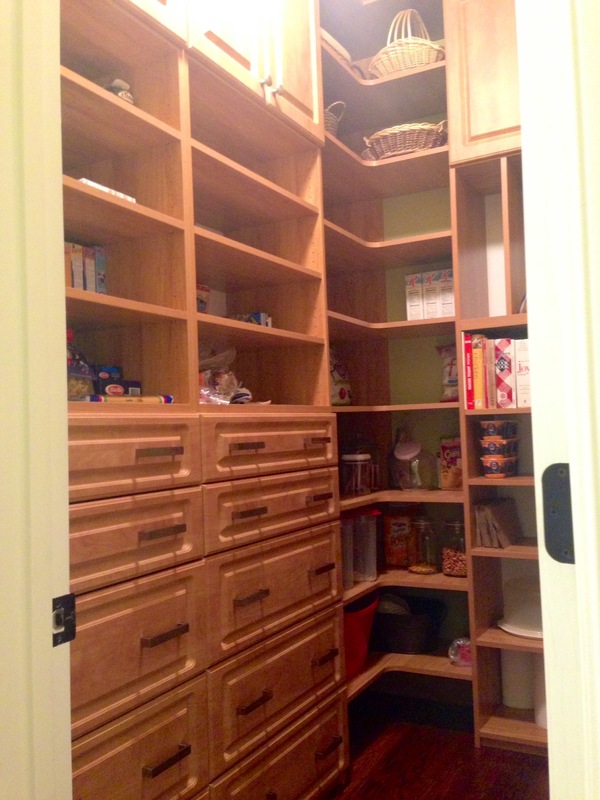 It’s because we absolutely love designing closets and pantries! 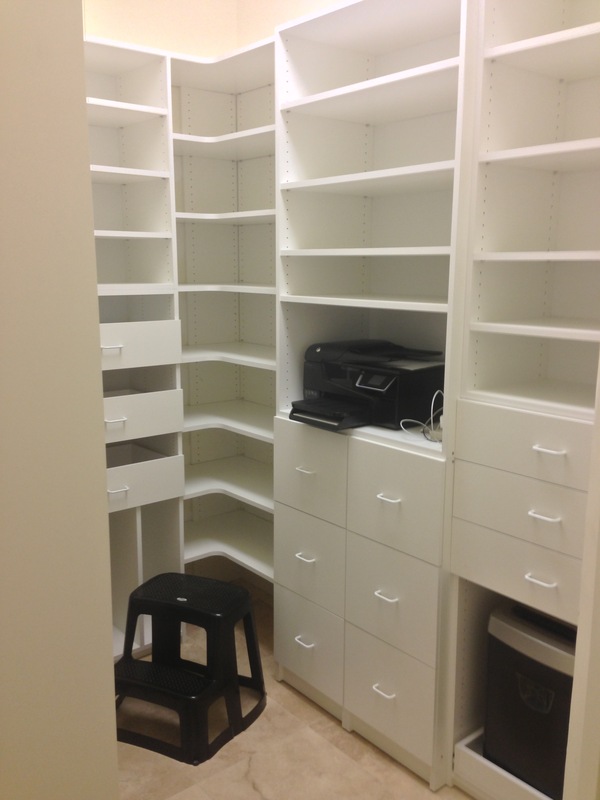 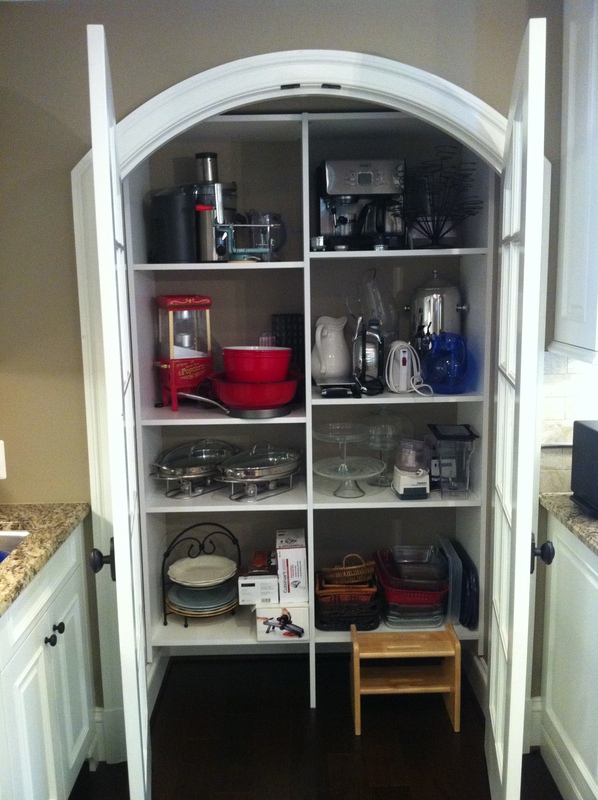 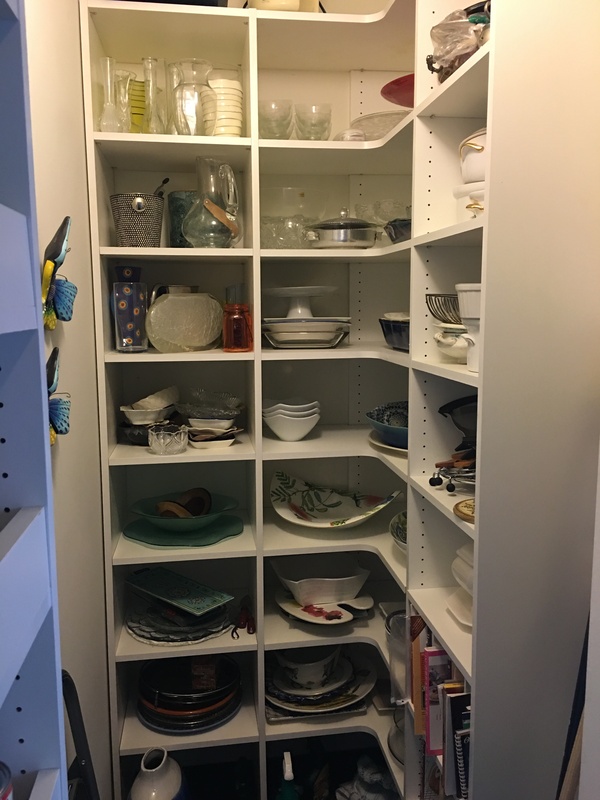 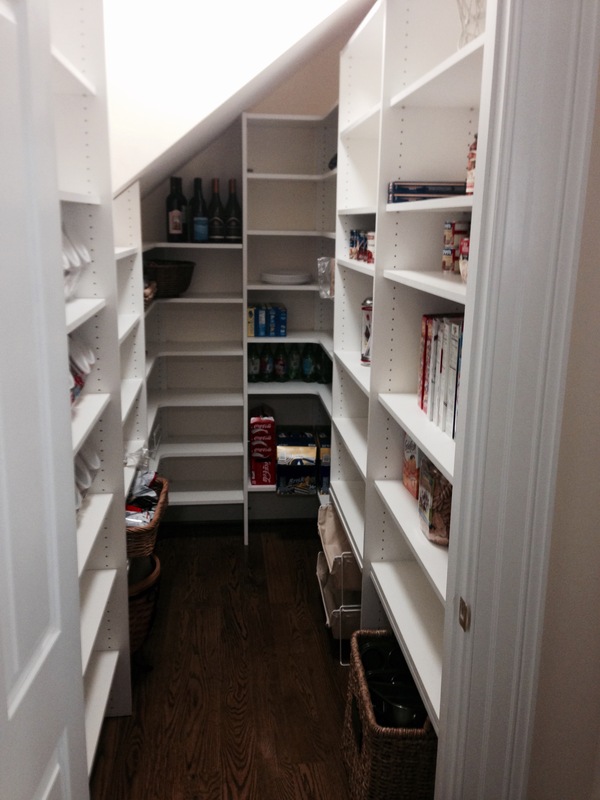 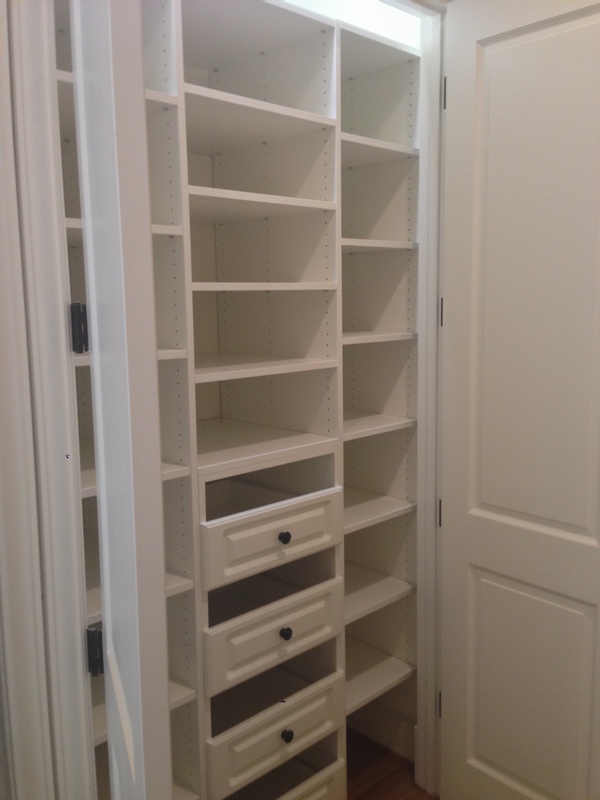 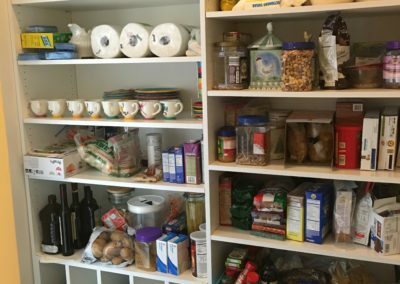 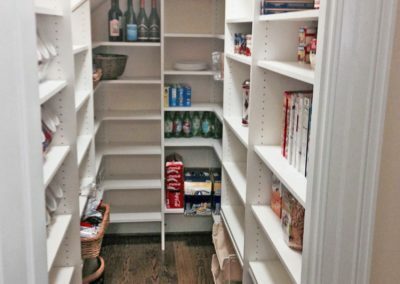 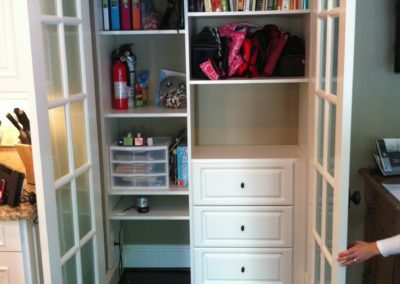 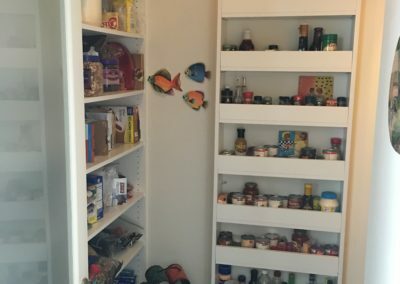 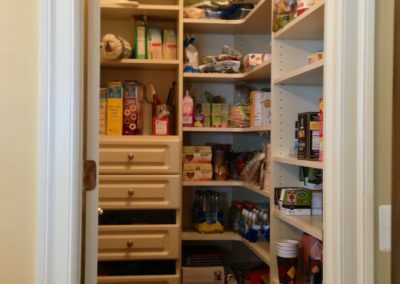 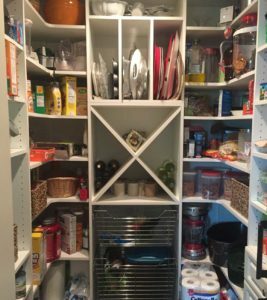 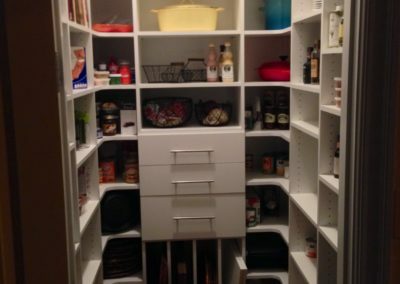 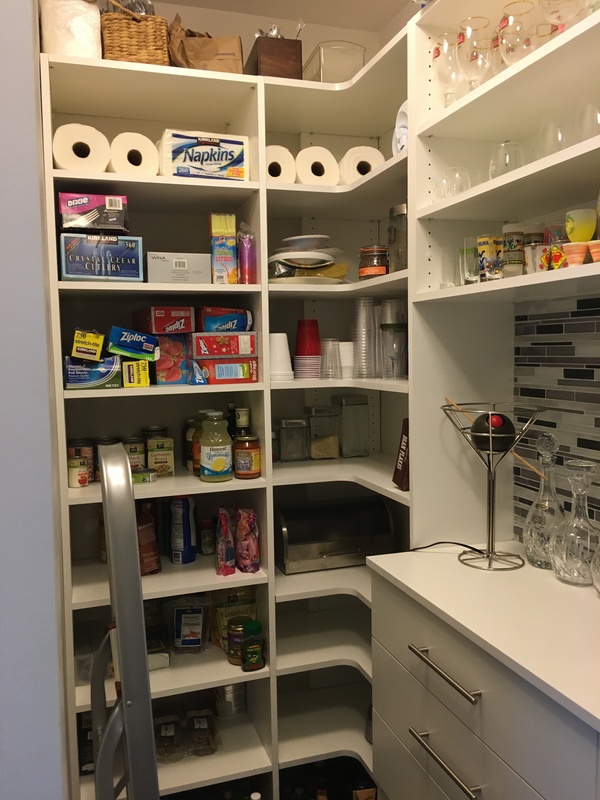 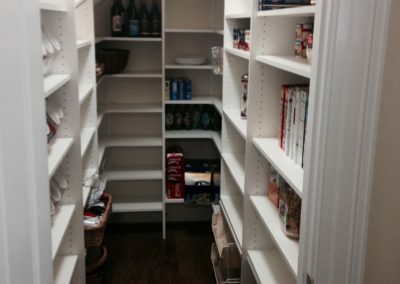 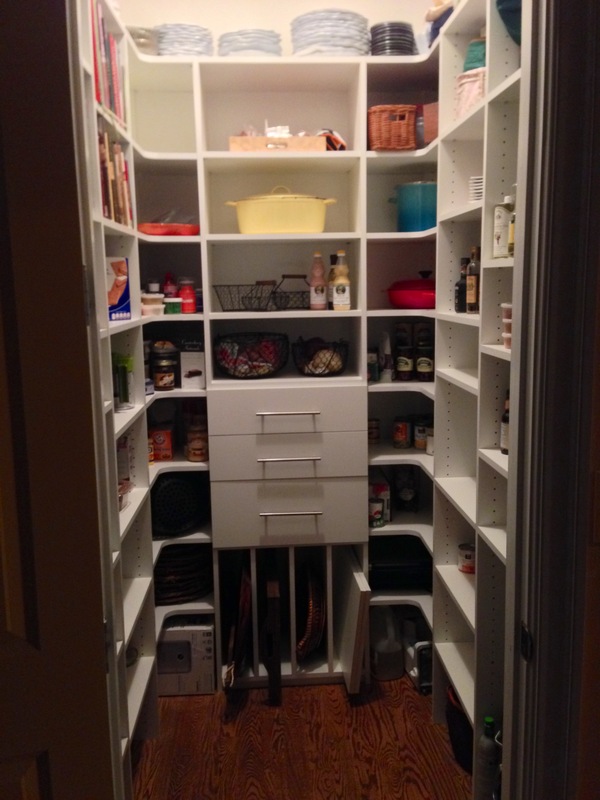 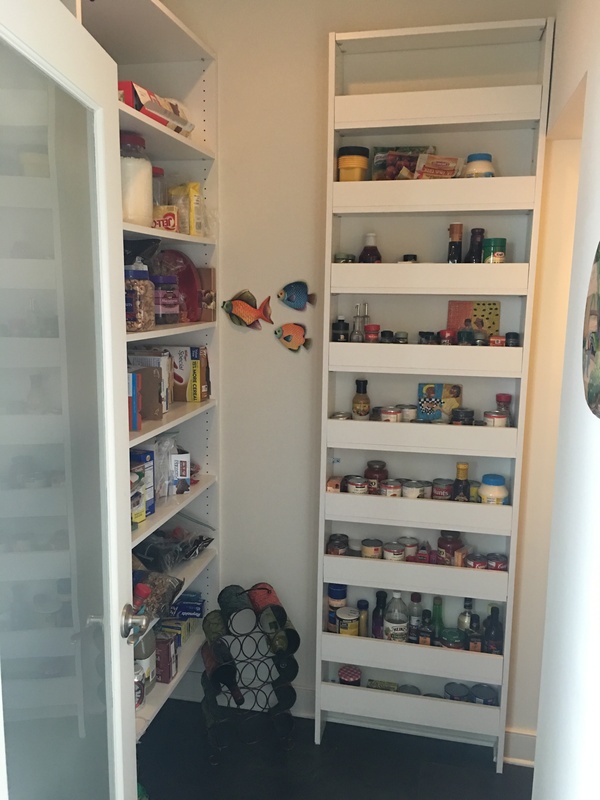 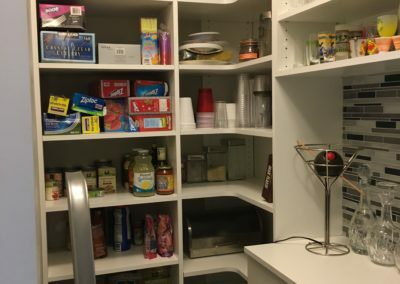 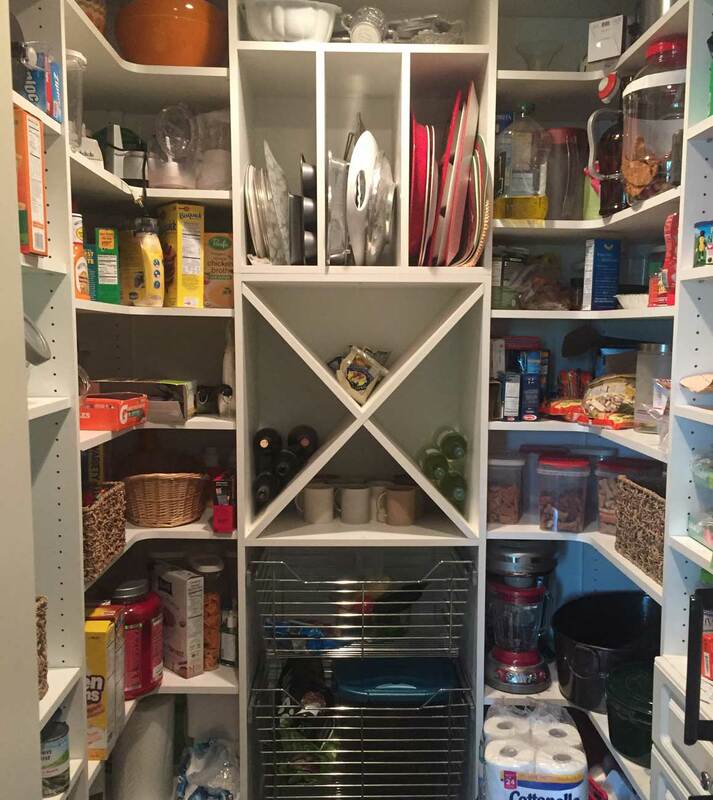 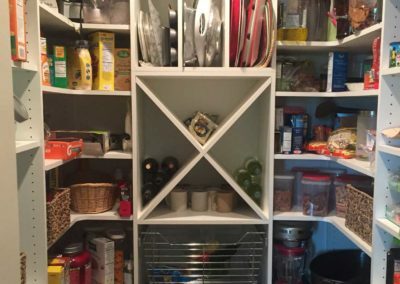 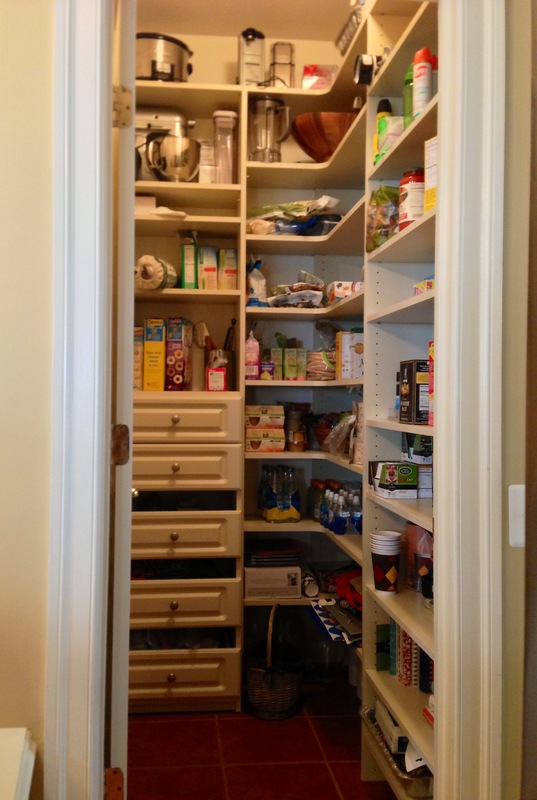 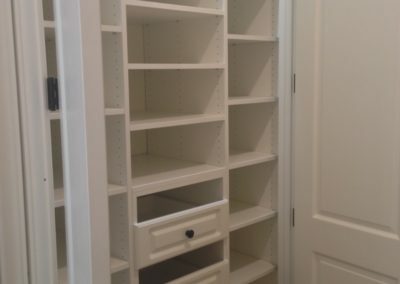 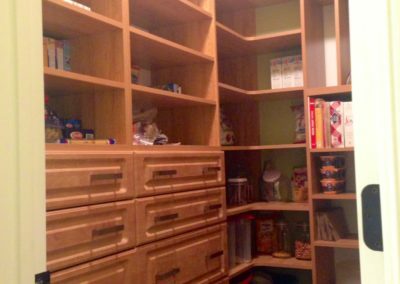 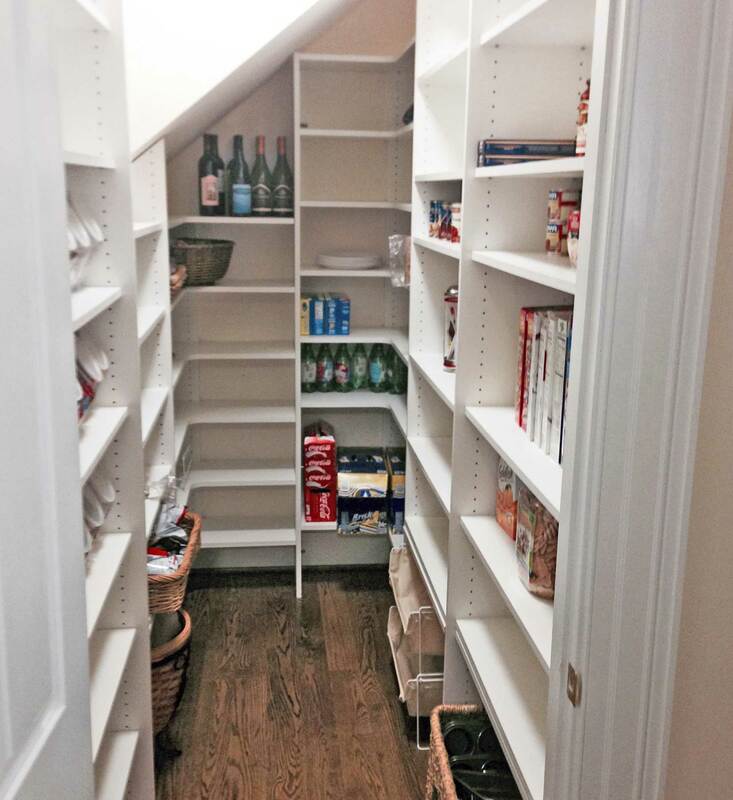 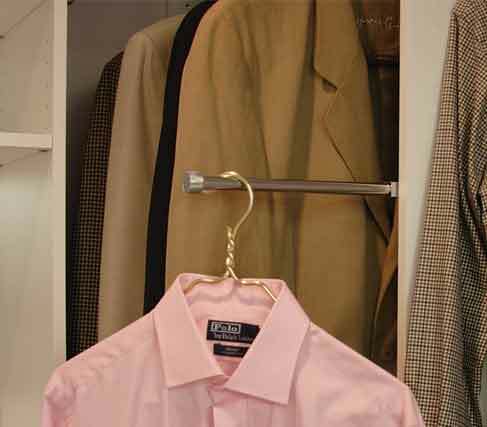 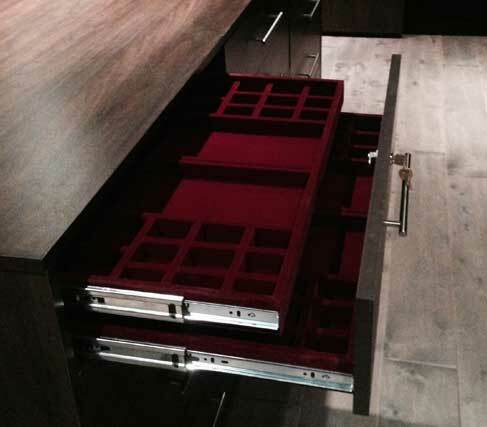 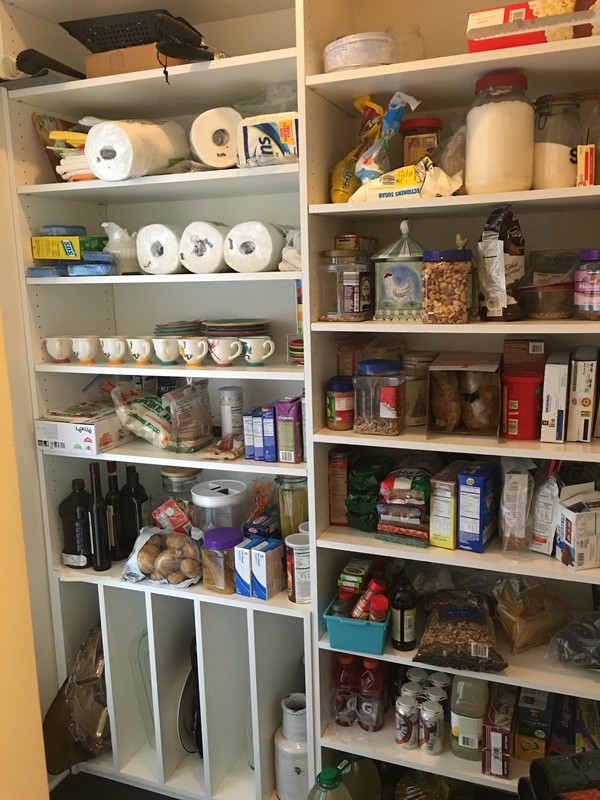 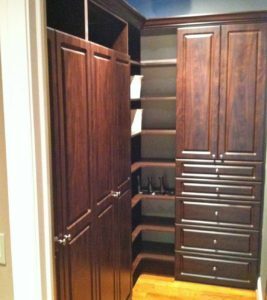 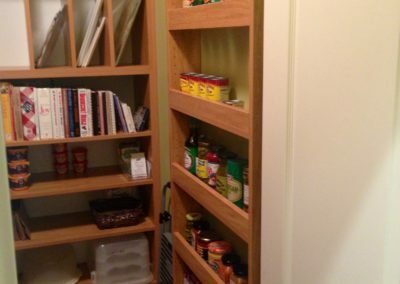 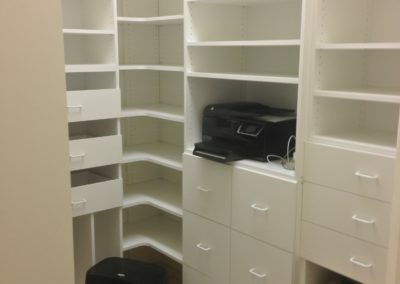 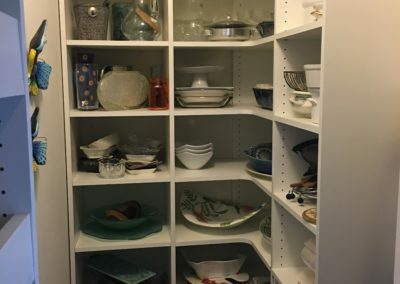 Keep your kitchen free of clutter with a Closet Stretchers pantry. 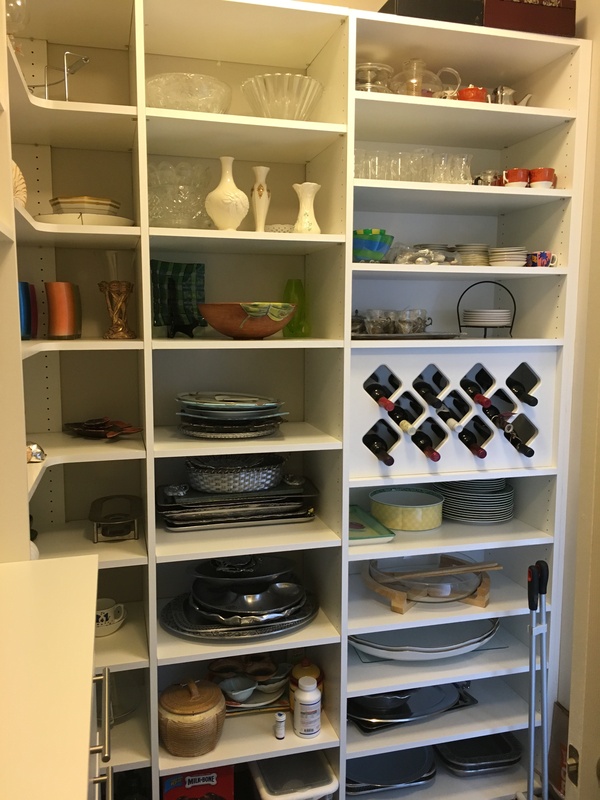 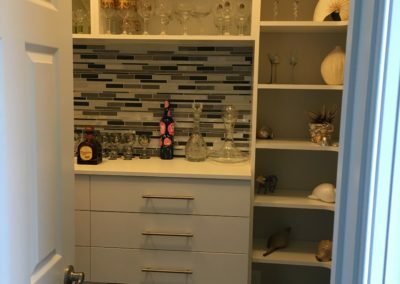 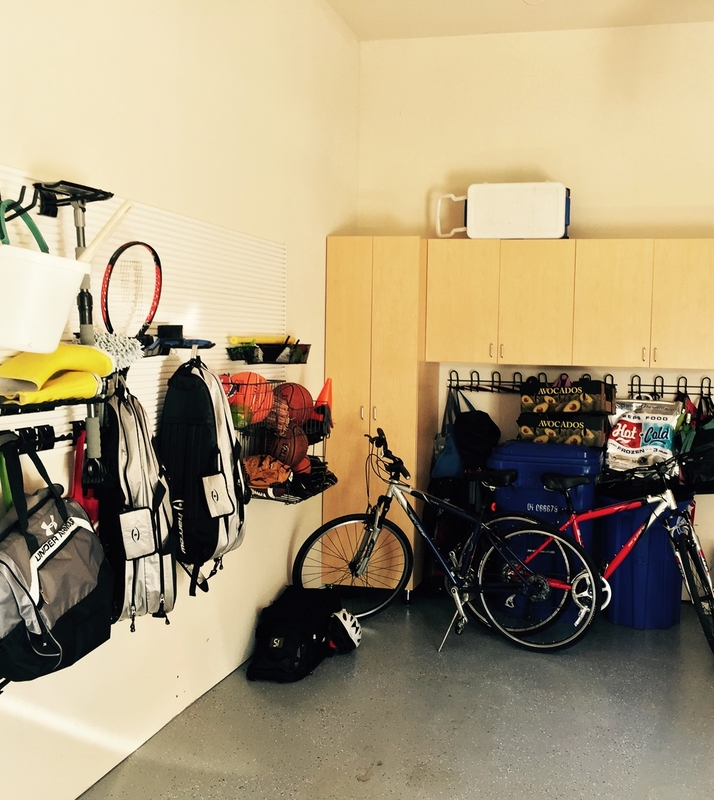 Our slat wall panels allow effective use of every wall in your pantry, giving you more space to hang utensils, pots and pans, brooms and mops. 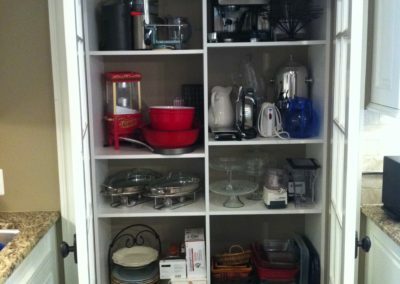 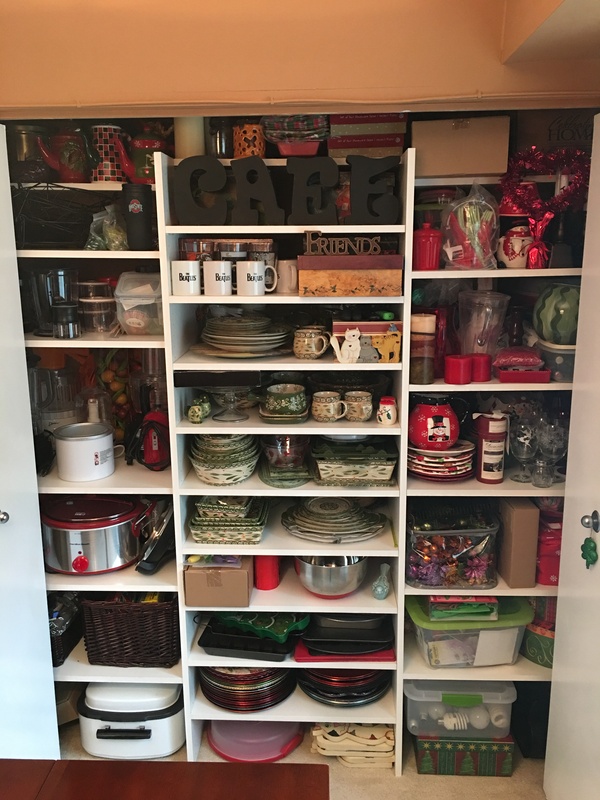 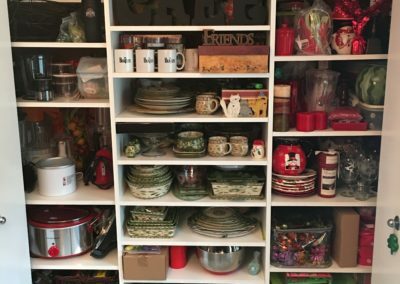 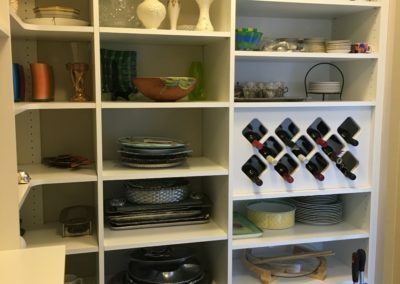 You can combine accessories to organize your dry goods, canned goods, spices, cookware, cookbooks and more. 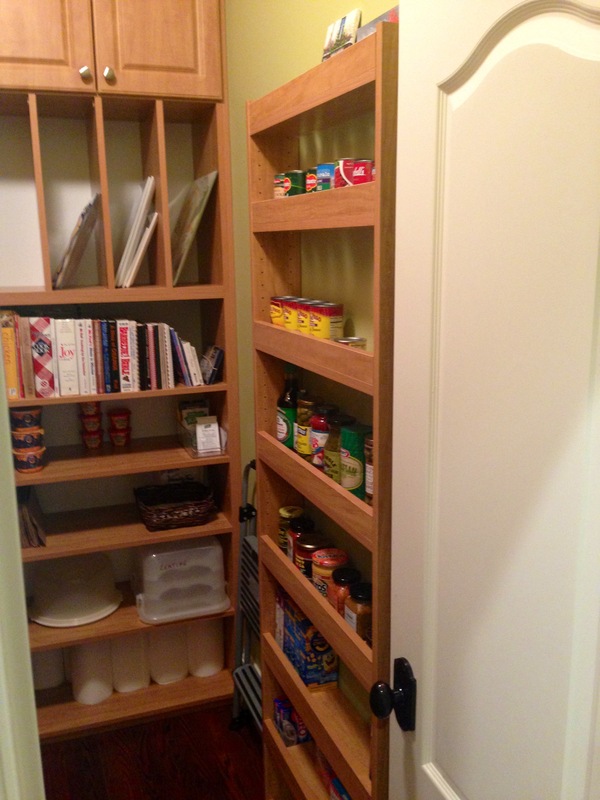 Our pantry systems are available in a variety of designs and finishes. 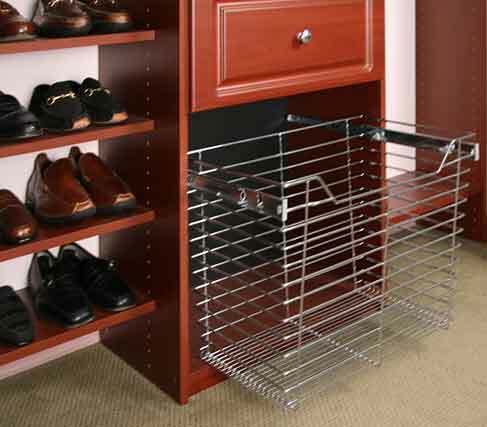 Manufacturing our products in our own local facility allows us to keep prices low and reduce customer waiting time. 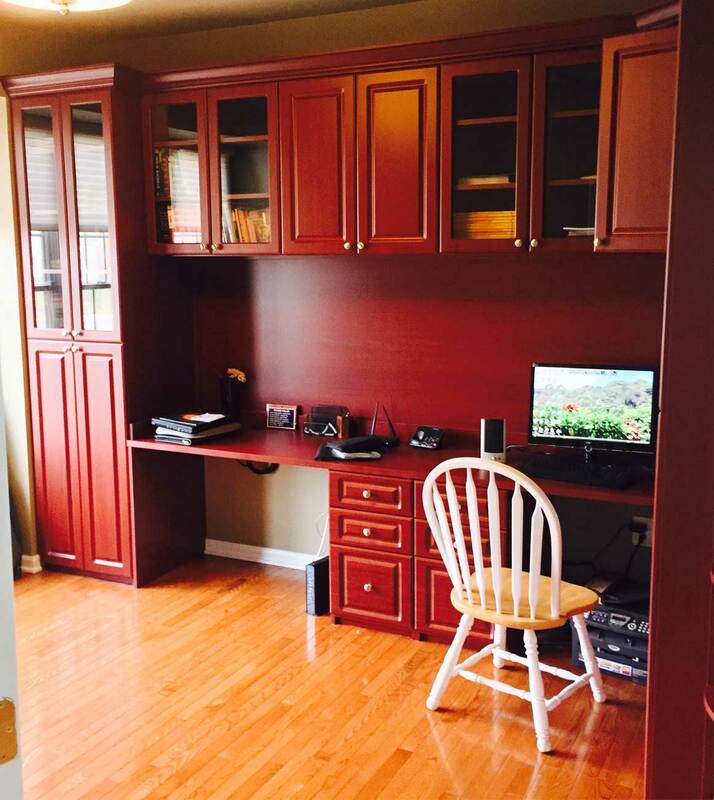 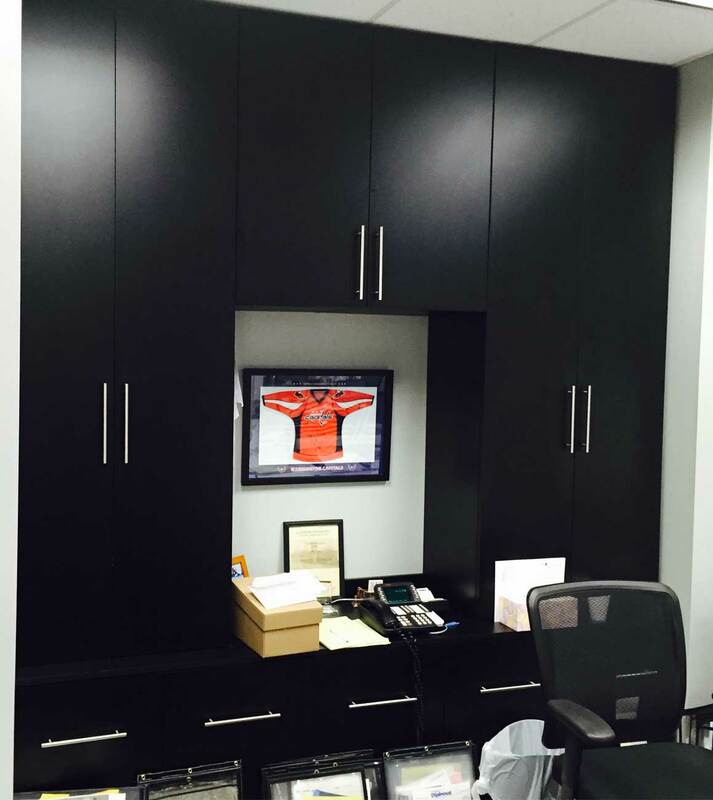 Your design consultant will work with you to target your design expectations and budgetary requirements.